Jan Marini Skin Research is one of my favorite brands. Jan Marini herself was one of the first to work with Alpha Hydroxy Acids. She has been in the skincare business for many years and knows so much about skincare and aging that she could write a book about it! 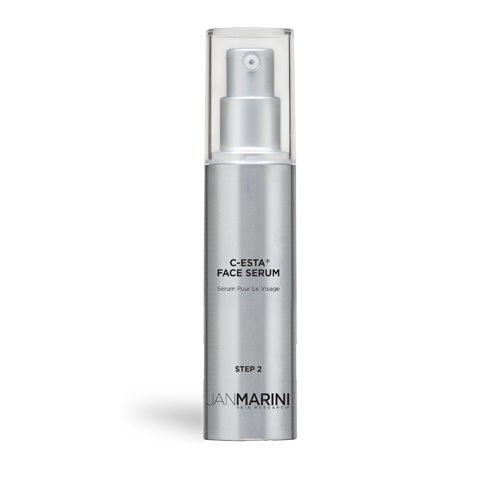 Jan Marini Skin Research is one of the most respected brands in professional skin care. JMSR has formed associations with some of the world's leading physicians and research scientists to develop cutting edge solutions to today's most common skin concerns. This company has introduced a host of technological firsts, has been awarded numerous patents and has published multiple independent peer-reviewed studies on it's products. Don't you think that gives them some street cred? Today I would like to talk about one of my favorite products from Jan Marini Skin Research. It is called C-Esta Face Serum. This serum is a Vitamin C serum that helps to lift, firm, tighten and brighten the appearance of facial contours with a powerful antioxidant cocktail, featuring Vitamin C and DMAE. It is great for all skin types and is shown to reduce the appearance of fine lines and wrinkles, and also uneven skin texture. 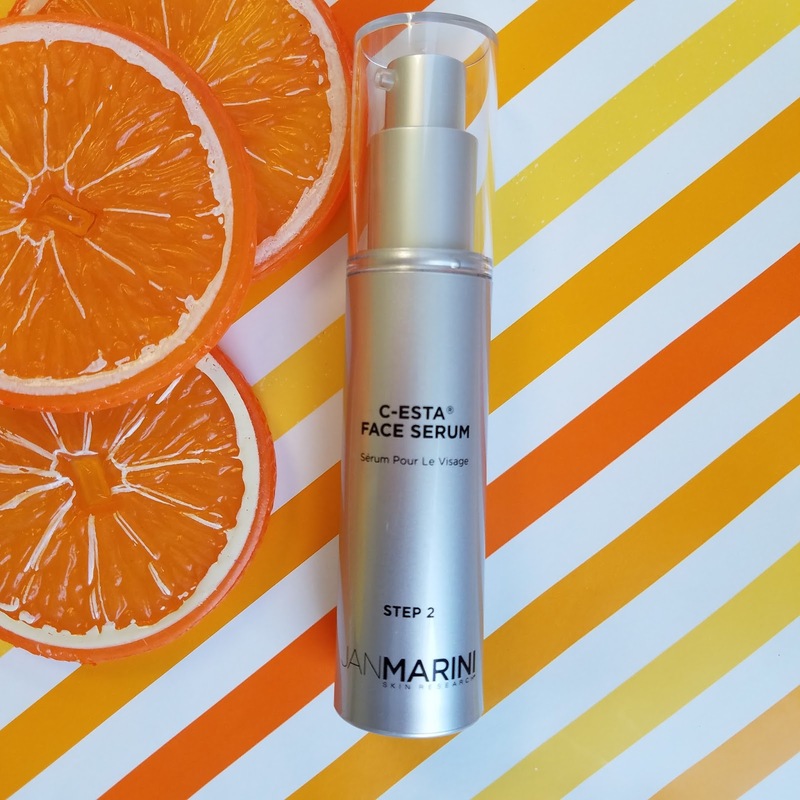 Preferred by subjects in a blinded split-face study vs. a leading Vitamin C solution, C-ESTA Serum is the preferred Vitamin C and antioxidant solution for younger, healthier looking skin. The kind of Vitamin C is contains is Ascorbyl Palmitate, which has been shown to penetrate the skin well and is fat soluble, so it will penetrate through sebum, which is why it is so good for oily skin. It also contains a naturally occurring fatty acid. DMAE comes from Vitamin B and helps firm up sagging skin. This also has hyaluronic acid in it, which can contain 1000 times its own weight in water and is a humectant, which means it draws water to the skin. This helps keep the skin moisturized and hydrated. Vitamin B5 is niacinamide and that helps keep skin from looking older by reducing the signs of aging skin. Vitamin E also reduces the signs of aging skin. These both reduce the look of fine lines, wrinkles, sagging, uneven skin tone and uneven texture. How To Use: Shake well before use to reinvigorate the ingredients. Prior to use, leave plastic lid in place. Invert and tap the top of the container several times into the palm of your hand. if you experience difficulty when dispensing, repeat and pump product into the hand while inverted. Apply sparingly morning and evening to the entire face, upper neck and behind the ears. You will find that after using this product for several weeks that your skin is brighter, smoother, softer, has less sagging, is all around firmer, has a more even texture and fine lines and wrinkles have decreased. You will love the way your skin just "glows". I know I do. 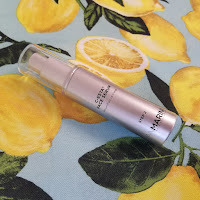 This is one of the best Vitamin C serums I have tried in all the years I have been using Vitamin C serums and that is about 25 years. Yes, it is that good. Jan Marini Skin Research's C-Esta Face Serum is available from www.janmarini.com. Like Jan Marini on Facebook: https://www.facebook.com/JanMariniSkinResearch; Follow Jan Marini on Twitter:@JanMarini; Follow Jan Marini on Pinterest:https://www.pinterest.com/myjanmarini/; Follow Jan Marini on Instagram:https://www.instagram.com/janmariniskinresearch/ and Follow Jan Marini on Google+:https://plus.google.com/+janmarini.